How you ever saw a Volcano? However been so close to Volcano? Did you ever see how the atmosphere would be when a volcano erupts? This seems scary right. How about looking deep in 2 Volcanos that are pretty much active. Yes 2 Volcanos at once. 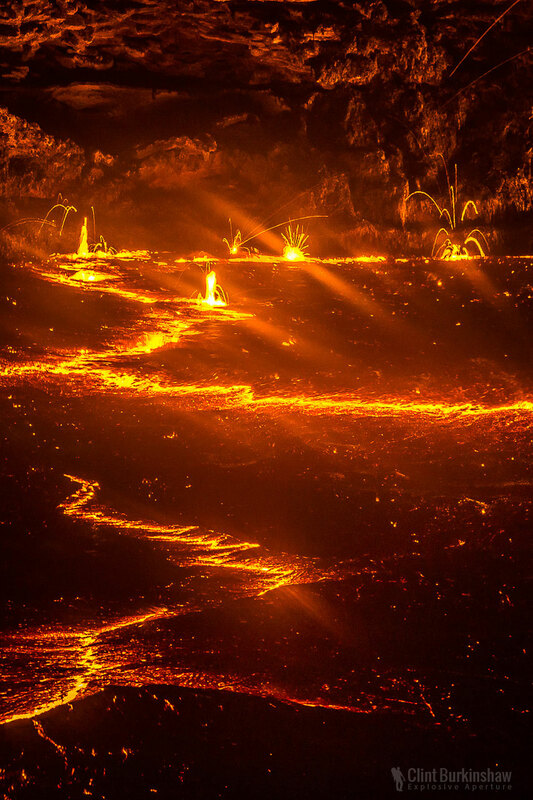 Volcanoes with lava lakes are very rare on earth .There are only six of such types of lava lakes in the world. Erta Ale most commonly known as Smoking Mountain. 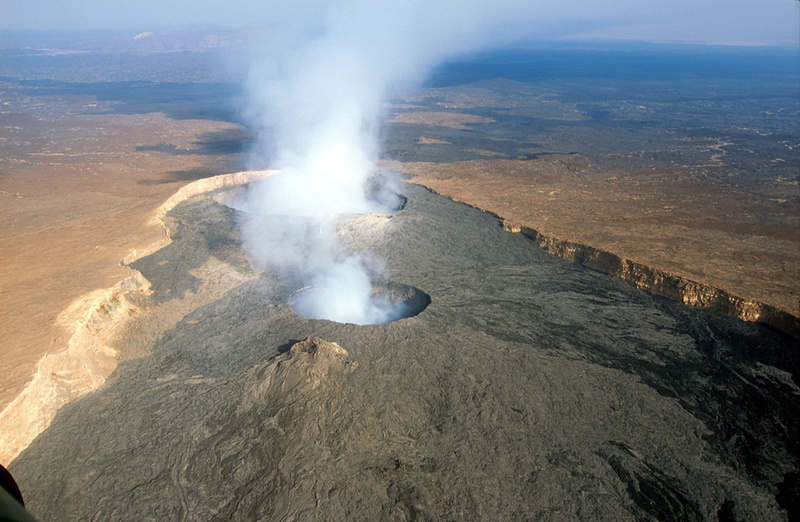 Erta Ale is the most active basaltic shield volcano in northeastern Ethiopia. In the local Afar language its southern most pit is usually referred as “The Gateway to Hell”. Erta Ale with one or sometimes two active lava lakes occasionally overflow on the south side of the volcano. This desolate region in north east Africa is the cruelest place on the earth by NGC, and it holds the hottest average temperature on the entire planet. Ethiopia is one of the places that remains as an enigma until you unveil it by travelling there. There have been lot of incidents of significant violence against tourists in Ethiopia many ending quite tragically. Staring down at the only circular piece of earth will lit the head by torch. The insane environment consisting of solid magma chambers created from the previous volcanic eruption. The ground will be hollow and unpredictable. You never knew whether what you were standing on was solid surface or whether it will collapse beneath your feet. This place was completely void of nearly all life no trees no animals no birds only the odd shrubs growing in between volcanic cracks. It seems something peculiar out of a science fiction movie. The gigantic hole was filled with hot boiling metal, flowing from one side to the other. Lava constantly spitting around the rim of the volcano. It’s hard to photograph a more extreme environment. 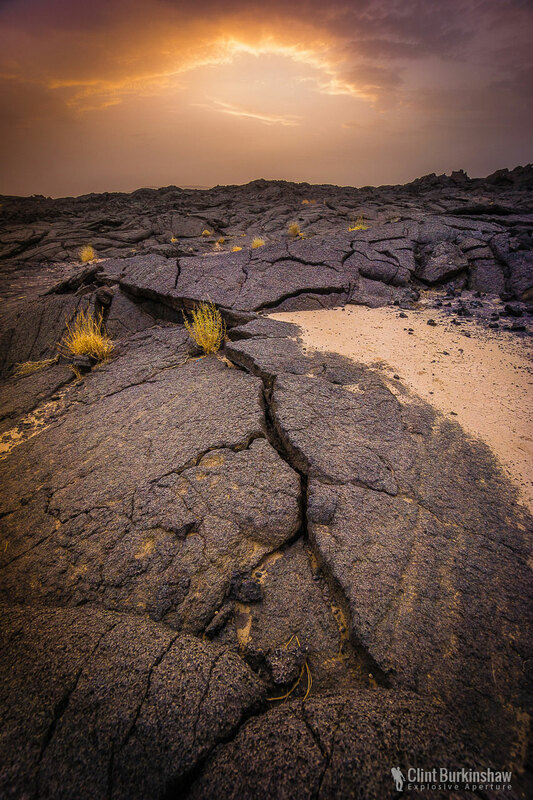 Try to be far from ground as much as possible as the dried magma can be very sharp, and you’ll spend ages trying to get the metal “splinters” out. Getting close is great, but also very dangerous! The last thing you’re going to want is to be hit by a heap of 1,200 degree molten metal!